– Who are some of the most prominent non-Japanese but East Asian (Korea, China, Taiwan, etc) animators in the industry? Se-Joon Kim: Korean animator renowned for his outstanding mechanical and effects animation, which is distinctly crisp yet fluid. He was affiliated with Sunrise’s 3rd studio in the past, doing mechanical animation direction and key animation for shows such as Gundam AGE and Gundam Build Fighters. More recently, he has distanced himself from mecha and started to focus on character animation to improve his skills and prove he can draw more than just robots. He provided animation character designs and handled mechanical animation direction for Ikuto Yamashita’s Animator Expo short Iconic Field showing how versatile he is. After doing some animation direction for One-Punch Man episodes 4 and 11, he worked as an animator on Shukou Murase’s Genocidal Organ film, even helping with design duties. His most recent works include action animation direction for Sword Art Online: Ordinal Scale and key animation on studio Khara’s Dragon Dentist TV anime – as you can tell, at this point he receives requests for very high-profile titles. Sung-Hoo Park: Another Korean talent. After slowly climbing the industry ladder, he polished his skills and became an animator with an easily recognizable style; the timing in particular stands out, and his sequence pack impressive force. He’s mainly working for studio MAPPA nowadays. Unlike Kim who is purely doing animation and design works, Park occasionally draws storyboards and directs. His work on GARO: Divine Flame is considered as his magnum opus; he handled the storyboard, direction and animation direction for the action parts, and key animated a very significant amount of them himself. His most recent work was on Pokémon Generations, where he produced episode 14 pretty much by himself. Hakuyu Go: The youngest of the bunch comes from Taiwan. Go started working in the industry in late 2013 at the age of 21, and at this point he already has some pretty notable works up on his resume. The most important undertaking he has been entrusted with to this day was at studio BONES, where he storyboarded and directed All Might’s fight against Noumu in My Hero Academia‘s twelfth episode. I feel like not much needs to be said about his animation work, there’s a reason it resonates so strongly with fans no matter how many times they experience it. Some of his most outstanding animation efforts include the lengthy action setpiece in Mob Psycho‘s eleventh episode and his frantic cuts on Flip Flappers. Even his young animator friends on twitter continue to be surprised by his rising skills, calling him “God”. Those are of course my picks, but there are plenty of talented individuals from those countries involved with anime production. Animators like Boya Liang who handled Haikyuu’s most memorable cuts, Chengxi Huang who has been doing exceptional work in Naruto, and very young artists like Optical Core and Lan who have arrived to the professional Japanese space with a bang. Tons of outstanding work to look out for! – I’ve heard it said that budget has little impact on the quality of animation or even a the show as a whole. What I don’t get is why? I understand that the quality of the team and their processes/workflow is what determines quality, not the amount of money thrown at a cut/show. But surely, if a team had a bigger budget, at the very least they’d be able to spend more time working on the show (after all, time is money, so it’d stand to reason that money also yields time), allowing them to plan better and put more effort into the production, resulting in a higher quality product. Is this not how things work? Are there other factors at play that negate the benefits of a larger budget? Kevin: The issue with your train of thought is that it makes too much sense, and thus doesn’t apply to the anime industry. The idea that if time is money then conversely having money means you’ve got time is a wrong assumption I can’t blame people for making. The truth is that it’s not the case, and it can even be the exact opposite! The highest profile productions (mostly talking about TV anime here) are often accompanied by some sort of multimedia campaign, and cross promotion with big releases in other formats is quite the big deal. Take a project like Cinderella Girls, which as you can imagine wasn’t struggling for funding. But since Bandai wanted the anime to overlap with the rhythm game they were about to release, the show ended up airing prematurely; its chief animation director had wrapped up his previous project just weeks before deremas started airing, so it’s easy to see why it all crashed. In the end the second half of the series did get stealthily delayed, but Bandai at that point no longer cared because the game was out and on its way to become a big success. And you don’t even need circumstances this unfortunate, often you just have impatient committee members that want the fruits of their investment as soon as possible. Since studios themselves are often not in the committee and very rarely rank high within it, the people who care the most about the animation production environment don’t have much of a say even when a project could afford to pay the creators for a longer time. The latenight industry moves ridiculously fast so titles have small windows of relevance, and they don’t want to risk having to wait more seasons for them to air. The consequences to their thinking are often gross and deplorable, but if you disregard the actual human beings who suffer because of them it’s easy to understand why anime with high production budget doesn’t easily get to stay in production for a long time. That said, budget doesn’t matter at all is a really funny strawman that popped up recently. No one has argued that and no one seriously will. 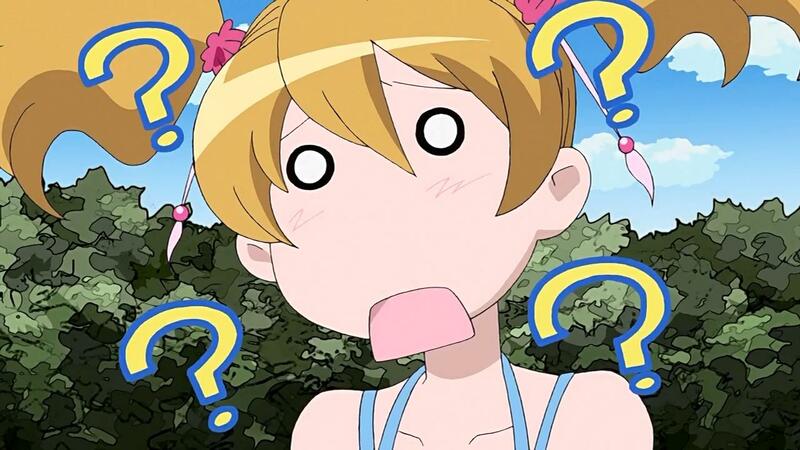 For the longest time no one challenged the idea of money as the defining factor for production quality of TV anime, so when people suddenly started quoting industry members to disprove that some insecure fans felt personally attacked – you know how the internet is. Exaggerating the viewpoint they disagree with so that it sounds stupid is just their way to fight back, but pay them no mind. Pointing at one impressive scene animated by a particularly good animator and saying that cost more money is silly. Even doing so with entire episodes tends to be entirely off the mark. But projects with a higher production budget do fare better, assuming you’re comparing under similar circumstances. The effects tend to relate to fields that fans are really bad at perceiving though, and money obviously won’t make talent magically grow! – Heyo I’ve got a new question for the team regarding ‘Your Name’. I’ve been looking for a BluRay release date for the film, and so far the only thing I’ve found is the UK distributor claiming its going to be October 2017 (that’s also what Amazon UK is saying) or later, due to “holdbacks in Japan as part of the terms of our licensing agreement” (that’s from their blog). What are the possible reasons for this? The movie has already been given an English dub, and to my eye, it didn’t appear that there was any touching up that needed to be done (as happens sometimes for TV anime). The actual creation and distribution of the physical product shouldn’t take that long (should it?). The only thing I can think of is that they’re waiting for the US screenings (which start in April) to finish. But even if that’s the case, the US screenings wouldn’t go for 7 months would they? I would have thought that with something as popular as ‘Your Name’, they’d be chomping at the bit to get the physical release out. I just don’t understand the reasoning behind having such a late release, especially considering how rampant piracy is in the anime community. Do you guys have any ideas about this? Kevin: This is much simpler than that! International distributors generally don’t get to release films for a few months since the Japanese BD/DVD release to avoid reverse-importing shenanigans, and the movie is taking an extraordinarily long time to come out due to its success. There are some exceptions like Garupan‘s limited yet never-ending 4DX theater run that continued well after the bluray was out, but generally films aren’t released until they’ve stopped screening. And since Your Name simply won’t stop making money on theaters, they have little reason to start wrapping up. You should expect a JP release this summer (July?) before the rest of the world gets to sell it. – How about reasons why shows that may have sold well (like Kyoukai Senjou no Horizon) do not get more seasons? Kevin: I’m glad you used Horizon as an example since we heard about it first-hand. A member of the production team at Sunrise mentioned that the studio had no intention whatsoever to push for more because the series entailed tons of design work, so despite being a fairly successful property it wasn’t really worth the effort for them; for those unaware, Horizon has an endless cast of characters and a ridiculous mishmash of settings that makes the preproduction process much more complicated. Granted we’re only talking about a studio’s point of view here, but it’s a good example of the many seemingly minor circumstances that can get in the way. Every company involved in making anime has their own priorities, and success in the BD/DVD sales department might not be enough for them. In an interview we published recently with BONES and JC Staff leaders they mentioned that sometimes they receive requests for sequels to shows that turned out to be popular but at that point they’ve already got tons of work lined up (since studios can’t afford to rest), and they can miss their chance like that as well. – I was reading news and saw there was new info on Sanzigen x Goro Taniguchi´s new project, ID-0. Taking a look at the staff list, one name caught my attention, it being Yuji Kaneko, who worked on the OVA and movie of LWA and Sanzigen´s last project BBK BRNK as Art Director. Cheking what else he worked on in the past, I noticed that he has done background art for single episodes of different shows. So, my question is, do you think he could do background art for an episode of the LWA TV series, even if he “was replaced” by Masanobu Nomura as Art Director and is working on this new project now? His input is really missed at Luna Nova and its sorroundings. Kevin: You’re right in that he does that – I believe the last instance was in Magikyun!, where he worked on the backgrounds for one episode alongside his usual team at USP. They get credited differently depending on the project, but lately he’s been hanging out a lot more with Sanzigen than with Trigger. Either way, I think that won’t happen. That example was a series with Studio Pablo backgrounds, a company with whom he’s acquainted and that employs artists with a similar style. And those aren’t the case with BIHO, who are currently handling Little Witch Academia and doing rather forgettable work with it. So unless Yoshinari personally requests him for a special episode/scene, I feel like Kaneko will keep focusing on his work. He’s the art director for two upcoming series and keeps on handling smaller projects like the Gravity Rush OVA on the side, so it’s not like he has much time to begin with. His work is fantastic though, him being busy isn’t all that bad! Once again we had to split this batch in two, so look forward to more next week! Yep, that’s definitely a limiting factor. The current industry output is frankly ridiculous, and there are only so many special individuals that can elevate a trouble production. It’s not even just a matter of the number of available animators in general, you need particularly talented ones to stand out if you can’t offer them a healthy environment. Glad you enjoy them by the way! There are some more nice questions in the upcoming one as well. Our patrons are doing a great job at providing material that serves as particular enquiries but also general doubts. I could smell your money so I felt it was the most appropriate time. These sakuga nerds are only in it for the cash, smh. Now we have to wait for another week for some more of this. The world isn’t fair at all. Great work guys, I’ve always enjoyed those posts. We actually considered posting them all in the same article this time, but unless we cut them too short it was going to become one of those posts people can’t be bothered to scroll through. If you still like them despite the cruel delivery, all’s good!